Retro Grade: Manager Katie Burch of Hot Couture. IMAGINE THE LIKELIHOOD of someone 40 years from now purchasing and wearing the very shirt that you have on right this minute as you sit, creasing the elbows, perspiring slightly, overlooking a dribble of coffee near the left pocket, reading this web page. What are the odds that this very shirt will still be in a condition suitable for wearing? As said by bookies and mothers, respectively: slim to none and they don't make 'em like they used to. 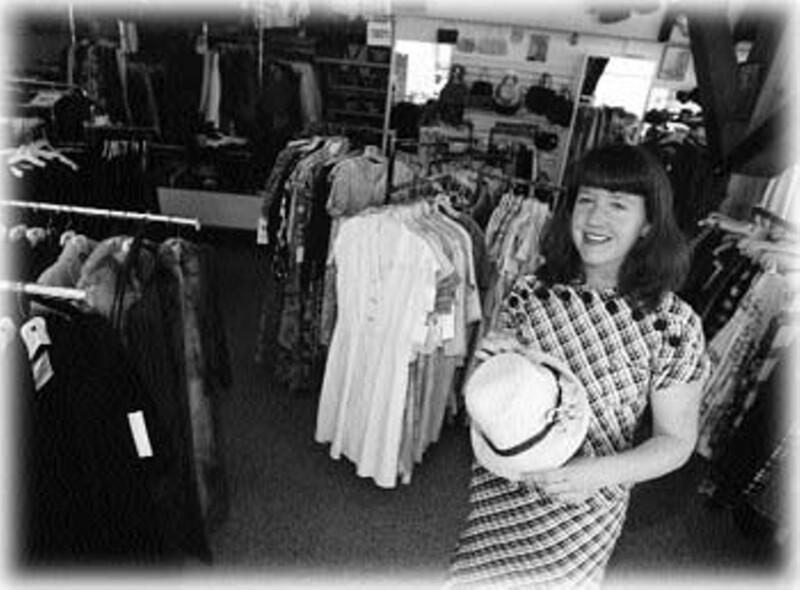 At the Hot Couture vintage clothing store, everything old is new again, and the luster of heavy, silky, richly made older fabrics is revered by those clotheshorses who say neigh to the cheap of the new and who have a bias toward excellently cut cloth, interesting designs, and the forward look of retro clothing. 101 Third St., Santa Rosa. 528-7247.--G.G.